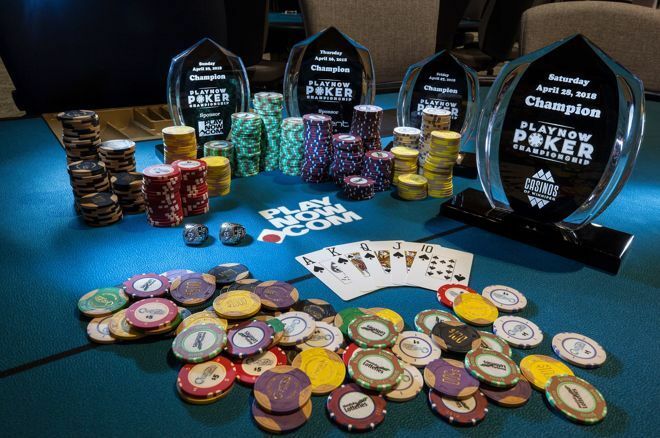 The stakes have been raised for this year's Spring PlayNow Poker Championship. After it's more humble beginnings in McPhillips Station Casino in Winnipeg in 2015, the tournament series expanded to the new and improved Club Regent Casino + Event Centre in 2018. The 2019 edition of the Championship is set to just get bigger with the addition of a new prize for the Main Event. In addition to the trophy and cash prizes, PlayNow is introducing poker's version of the coveted Green Jacket from golf's Master's. One jacket will be awarded each festival, to the winner of the Main Event, and the exclusive prize will be a symbol of poker supremacy in Canada. In addition to the new prize for the Main Event, the PlayNow Poker Championship is now presented by Farmery Estate Brewery. There's no question poker and beer go together, and Farmery offers a wide range of craft beers in various styles to suit any beer drinker's tastes. The poker action gets underway Wednesday April 24, 2019 with a multi-table satellite event. For $180, players will compete for tickets to both the Main Event, as well as Thursday's $600 event. Last year, nearly 300 entries were recorded for this tournament, and with the seating capped at 200 at any given, its worth getting there early to ensure you get a chance at the tickets. In addition to the multi-table tournament, single table satellites will run throughout the night with demand. The full action kicks off on Thursday with the $600 No Limit Hold'em Poker Tournament. Last year, just over 200 players came out for the fast-paced Thursday action, and it all ended in a five-way deal that saw Marcel Pruden take down the big prize. The action moves into the bounty realm on Friday, with the action-packed $300 No Limit Hold'em Bounty Tournament. Phil Riley made it through a field of well over 300 entries to win the event for $13,302. The big show in this series, as always, is the Main Event, which kicks off Saturday April 27, 2019. The $1,100 event runs over two days, with play ceasing after 15 45-minute levels on Saturday. The action picks up again Sunday and play continues until a champion is crowned. As noted, this year will include a special prize for the winner, a unique jacket identifying the owner as the 2019 Spring PlayNow Poker Champion. Last year, Shaner Yo won the big prize for over $50,000. For players who don't go deep in the Main Event, there's a final shot at poker glory on Sunday. As the Main Event winds down, the $400 No Limit Hold'em Poker Tournament gets underway. In 2018, this series broke attendance records and awarded more than $400,000 in prizes over the five days. In 2019, with the addition of the exclusive jacket, the Spring PlayNow Poker Championship presented by Farmery Estate Brewery is poised to be even bigger.